Poni Cosmetics Lash and Brow Growth Serum claim to thicken, grow, and darken the lashes and brows. However, can customers trust this product deliver on the manufacturer’s claims? We shall review various product aspects to determine this answer. It is both unfortunate and concerning to note that the manufacturer does not provide any information as to the ingredients included in the formula. In saying so, the absence of the active ingredients, as well as the concentrations, prevent us or the customer from determining if this product could live up to its claims. Whatsmore, the absence of transparency raises questions as to the number of fillers, binders, fragrances, or any potentially harmful ingredients included in the formula. There is no cGMP certification to give customers peace of mind that this product was made according to the market standard quality. There is also no mention if this product is cruelty-free, which raises concerns as the ethics of the production process. The formula’s inclusion of patented ingredients is also unlikely, which further raises concern as to the efficacy of this product. 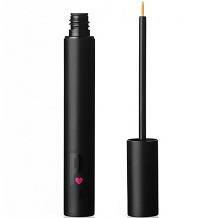 The user should apply the serum to clean and dry skin on the lash line, allowing 2-3 minutes to dry. Feather the applicator brush through the brows on the desired areas for growth. The application can be done every second day on lashes and every day on the brows. Avoid contact with eyes. This product is not for use by pregnant or lactating mothers. Discontinue use if redness or irritation occurs. Customers can buy Poni Cosmetics Lash and Brow Growth Serum directly from the manufacturer’s website. A tube retails for $59.00, which is within the market standard range. However, the products within the market are transparent about their ingredients and even offer patented ingredients. In saying so, this price does not seem justified. There is an ‘Afterpay’ option that allows customers to pay “4 interest-free payments of $14.75”. This would offer value to the customer if the product was of quality. The manufacturer claims that this is a 6-month supply, however, does not include the actual volume of the tube. The lack of transparency as to the product’s formula is a concern as there is no information to even begin to back up the manufacturer’s claims of efficacy. In actuality, this may suggest that the formula contains undesirable ingredients that may be ineffective or potentially harmful. Whatsmore, the formulas likelihood of including quality ingredients to ensure efficacy is low. Although the price is within the market standard, the market standard quality is not met with this product. Furthermore, the guarantee is severely limiting and there are no customer reviews to support claims of efficacy. For these reasons, we do not recommend Poni Cosmetics Lash and Brow Growth Serum as a trustworthy product or a wise purchase choice.